Get the Flash Player to listen to the voice-over. In New York City, as member of famed Irish Rep. Company, Karen Lynn garnered raves as "Mrs. Dandy McCabe" in The Field; as "Sister" in Late Night Catechism at Theatre at St. Lukes; and as "Miss Ophelia St. Clare" in Uncle Tom's Cabin at the Mint Theatre. 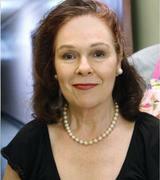 Last season, Karen Lynn was directed by -Austin Pendleton in Orpheus Descending as "Eva Temple" at Theatre at St. Christopher's; she also starred as “Eyphah” in the new farce, Under the Knife, at Theatre for the New City and as “Judy Garland” in the new musical comedy, Parker and Dizzy’s Fabulous Adventure at the Players Theatre in the Village. After a successful run at the West Side Theatre as “Lady Belaria” in Shakespeare’s Cymbeline, and as "Marlene Dietrich" at the TRIAD, in "Marlene and Noel,” Karen Lynn continued her work in films: Late Phases for Dark Sky Films; The Imperialists are Still Alive for Hi Jack Films and Ripe, for Tri-Mark Films. 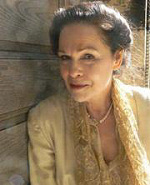 In the previous season, Ms. Gorney played "Mad Queen Margaret" in Richard III with The Royal Shakespeare's Anatol Yusef (Boardwalk Empire-Meyer Lansky) as "Richard" at the West End Theatre; the Irish Arts Centre as "Francis Foley" in a new play,Monsterface; and the "Duchess of Windsor" in the comedy, "The Merry Wife of Windsor" at the Sonnet Theatre. Karen Lynn other films include: City of Thieves as "Hetty Green" (the richest woman in the world in 1900) for Josh Carlebach (Drama Desk award); the comic film, Can’t Dance; award winners: Searching for Bobby D., Thru the Wall; the Polish film,The Pale of Settlement; Creating Karma, Dear J., A Crime, with Harvey Keitel, 100 Years of Evil, Bronx Paradise, and The Eight Faces of Jane: Kudzu. Television appearances include:"Anne Thornton" in FRANCIS KEY, AFTER THE SONG for PBS out this fall; "Judy" on the Sopranos; "Mary O'Malley" on Six Degrees; and "Iris Corman" and “Monk” on LAW and ORDER. She is a founding member of The Frog and Peach Shakespeare Company: "Constance" in KING JOHN; "Elizabeth" in RICHARD lll; "Gertrude" in HAMLET. You are visitor since December 17, 2005.